The self-titled full-length debut from Virginian experimentalists Human Services is dense with Neurosis-style atmosphere and tonal crush, moments of effects-driven spoken word leading to grinding, bleak freakouts — bleakouts! — as the four-piece run a malevolent course through the July release. Later, with “Messmas” and the two-part “Demixmas,” the avant garde will take hold, semi-tribal rhythms and Book of Knots-style bang and clang serving as precursor to the garage violence of closer “A Lust Song,” but that’s hardly the beginning of how Human Services‘ Human Services catches the listener off guard. 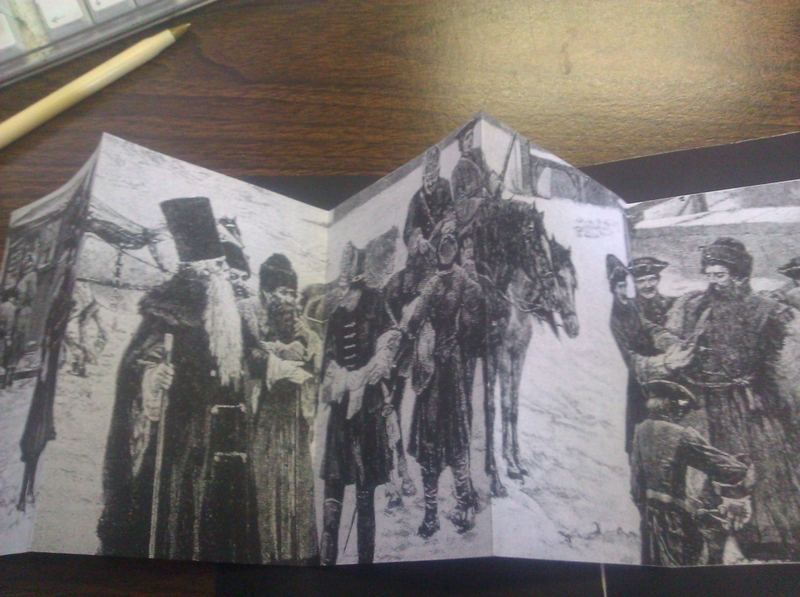 You can see above the outside of the envelope that houses the CD version of the album, which is available in a limited edition through the Human Services Bandcamp page. It is a handmade, numbered edition — I got #3 — put together by guitarist Jeff Liscombe (ex-Igon), and it adds greatly to the bizarre ambience of “Failsafe” or the darkened quirk of “Squirrel Cage,” giving a sense of premeditation to the record’s unhinged sprawl and nasty underlying weirdness. 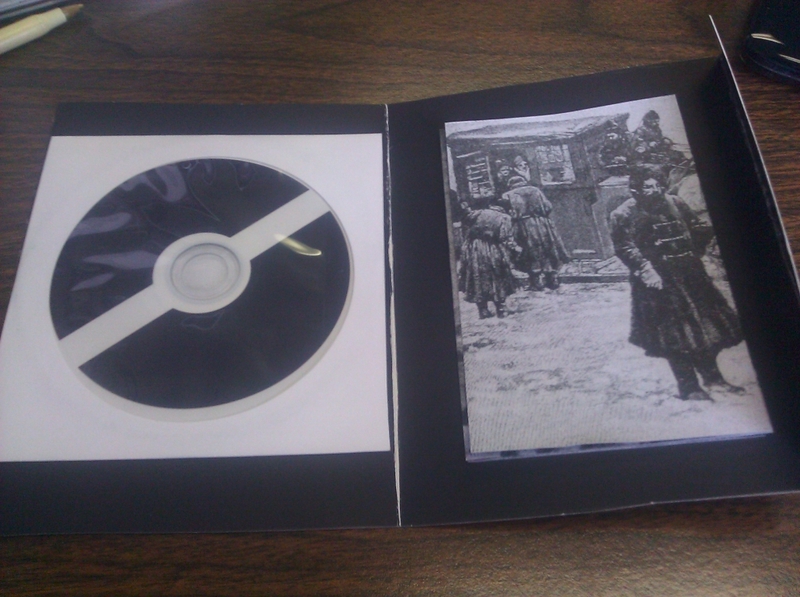 The disc is held in a plain white sleeve — not out of context with the rest of the package — and on the right is a foldout liner that opens to what looks like a scene of czarist oppression — or maybe its the czars being oppressed, kind of hard to tell. 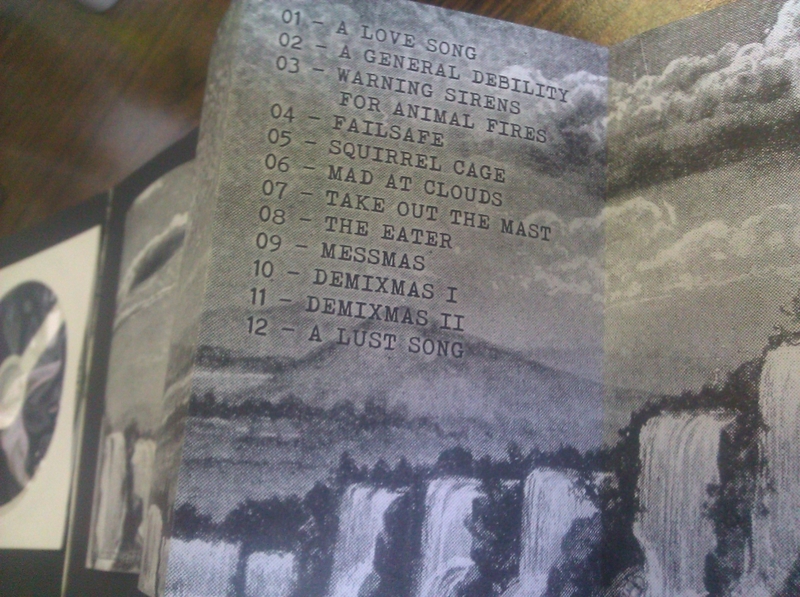 It’s not until you flip that over that you see the tracklisting for the album itself, which is set over a nature scene of waterfalls and mountains behind. If the idea is to juxtapose the cruelties of man with the power of nature, that would certainly complement some of the ideas present in Human Services‘ music as well — the band being comprised of Liscombe alongside Sean Sanford, Donnie Ballgame and Billy Kurilko — but they don’t go so far as to say explicitly whether or not that’s the intent, instead reveling in the obscurity and holding mystique in high regard as part of their process. This entry was posted	on Thursday, November 8th, 2012 at 4:43 pm	and is filed under Visual Evidence. You can follow any responses to this entry through the RSS 2.0 feed. You can leave a response, or trackback from your own site. 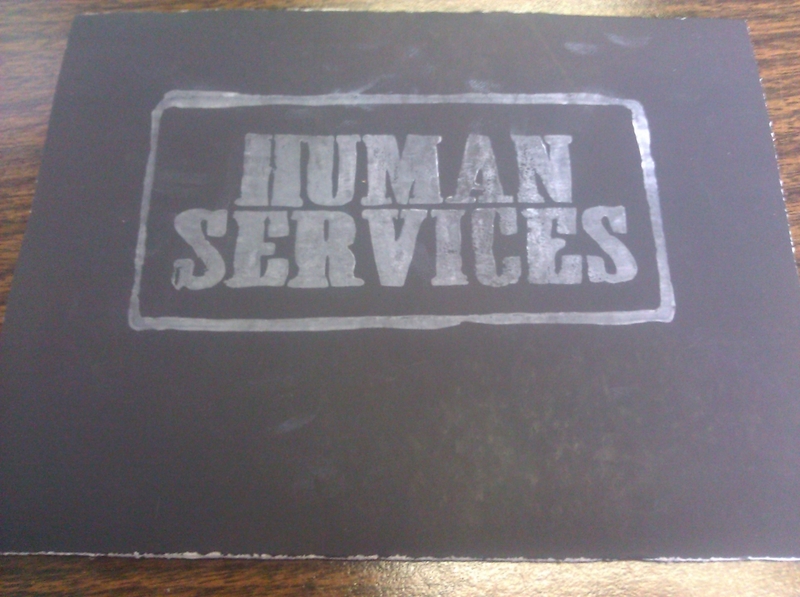 Album assembled by Human Services and the Human Services Merchandising Team at the American Mid-Atlantic Center for Perceived Manufacturing Initiative.